If you don’t need a lot of fabric, or want a taste of a new fabric collection it’s often a good idea to go for pre-cut products. 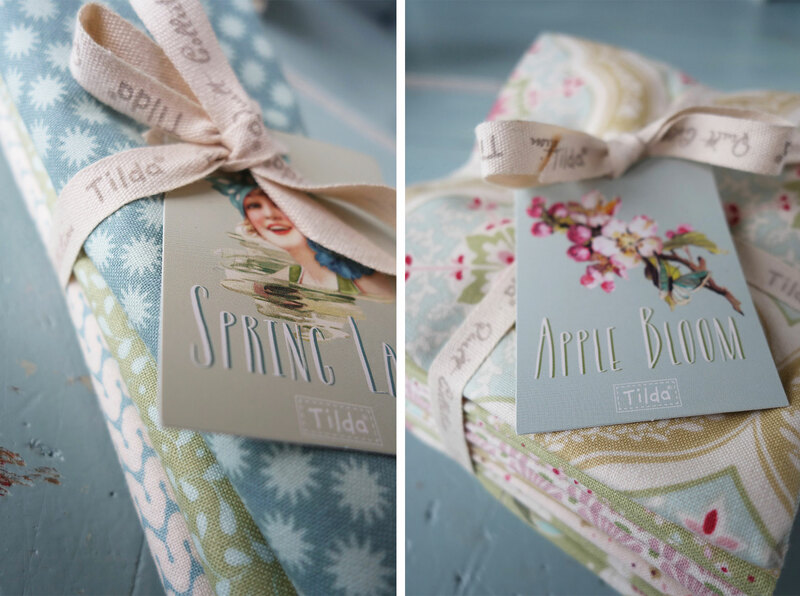 Each Tilda collection consists of 9 designs available in fat quarter bundles. The Apple bloom and Spring Lake collections each have three additional designs available in mini bundles. 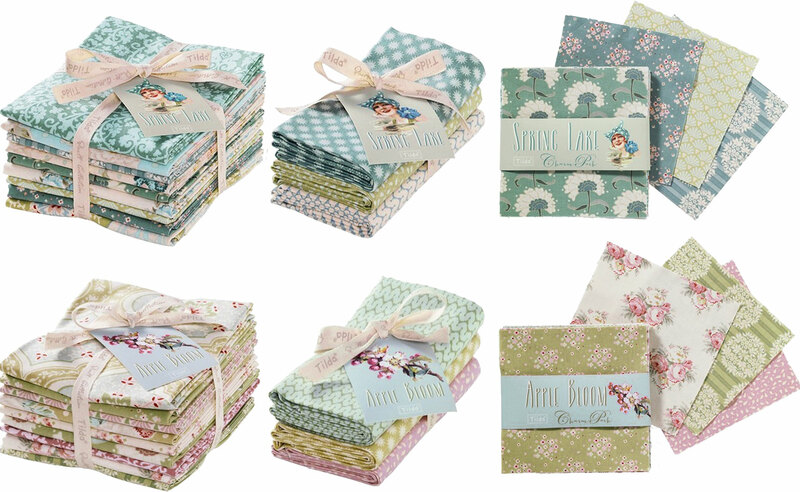 There is always a charm pack with each Tilda collection with 42 pieces, 2 of each fabric. All the bundles consist of fat quarters cut from a meter 22 x 20 Inch (55 x 50 cm). 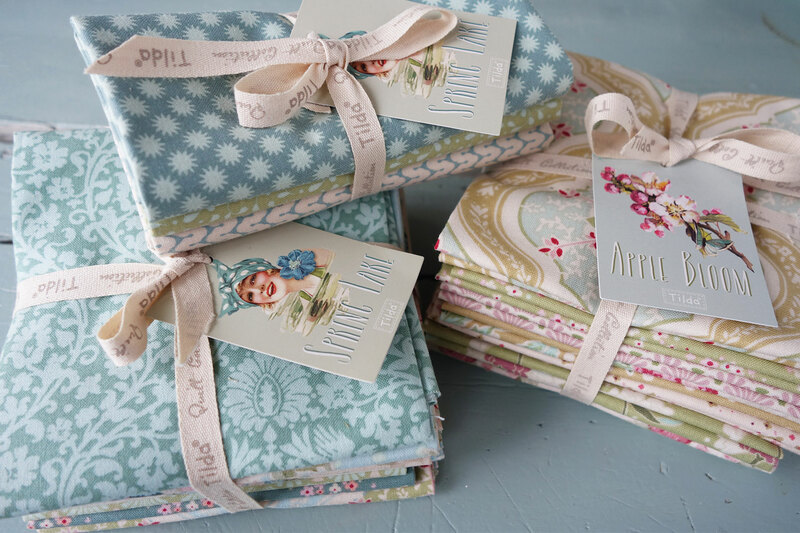 You can also buy pre-cut single fat quarters of each fabric. Charm packs consists of 42 5-inch squares (12,5 x 12,5 cm) and is great for smaller patchwork projects. You need 4 Charm pack’s to make a 54 x 63 inch (135 x 157,5 cm) or a 49,5 x 67,5 inch (123,5 x 168,5 cm) lap quilt. Hope you find time for some creative projects this weekend!